Hatch Homes is the High Point community’s top rated siding replacement contractor. Our siding company specializes in the installation of James Hardie fiber cement siding. Hatch is the local siding contractor that is partnered with the manufacturer of hardyplank. Our siding technicians are factory trained and certified to ensure that our homeowners are getting top-quality siding installation at affordable prices. Hatch Homes is endorsed and recommended to all High Point, NC homeowners who are considering siding replacement by James Hardie Building Products. We also install and replace Mastic Vinyl Siding. Hatch is an elite preferred contractor through mastic vinyl siding’s contractor certification program. Our company has also been endorsed as a certified siding professional through the VSI (Vinyl Siding Institute). In addition to being the expert local siding contractor, we also offer new house window installation and roof replacement. High Point, North Carolina is an excellent community that is conveniently located between Winston-Salem and Greensboro. 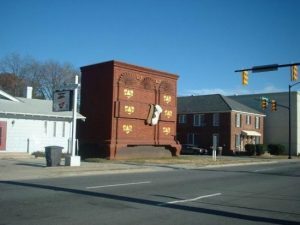 It borders other great North Carolina neighborhoods including Thomasville, Trinity, Jamestown, Horneytown and Archdale. High Point is most commonly recognized for its bus, textile and furniture manufacturing. On occasion, High Point is referred to as the “Furniture Capital of the World.” Many homes within the area are in desperate need for new house siding and quality exterior contractors. Hatch Homes operates throughout the entire High Point, NC area including the following neighborhoods. Our company goal is to deliver ‘bang for the buck’ remodeling projects while providing transparency throughout the remodeling process for homeowners in High Point, North Carolina. Contact Hatch Homes today to schedule a new house siding estimate or to get a quote for any of your exterior remodeling needs.